We have worked with several different franchises of Buffalo Wild Wings across the country. We supported their stores efforts to increase sales through both Every Door Direct Mail and Direct Mail Campaigns. We targeted businesses to increase the lunch crowd for a store in Los Angeles, CA with great results. 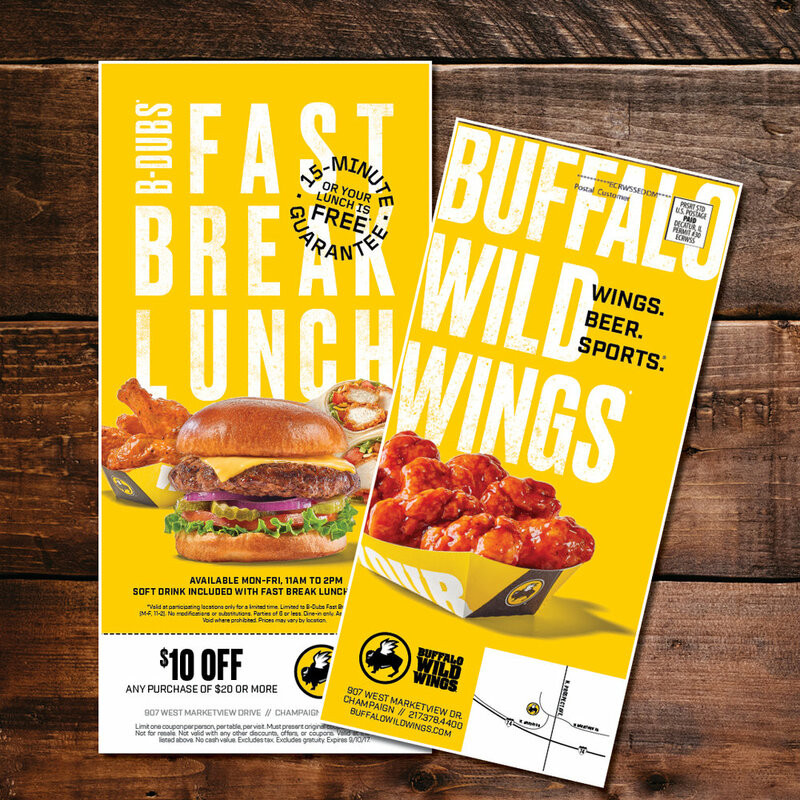 Using Every Door Direct Mail, we saved BWW on postage and used geographic and demographic targeting to run marketing campaigns geared on getting measurable results. 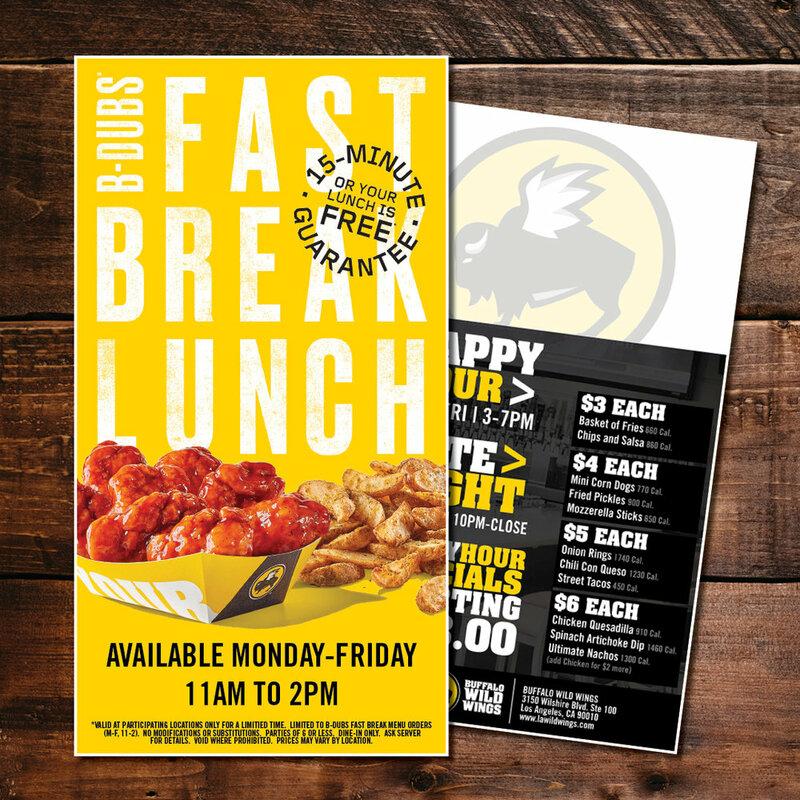 Our EDDM campaigns for Buffalo Wild Wings saw measurable positive results, with each store doing better than 10-18 times the national average in response rate. This measurable rate of return showed each store how profitable their marketing campaigns could be. For restaurants, Every Door Direct Mail is a great way to get your name out in the community and achieve instant and measurable results on your marketing campaigns.